It is always comforting to bring a bit of Mother Nature into the home and we have found some great ideas. Floral fabrics are always a popular line in any supplier's catalogue. 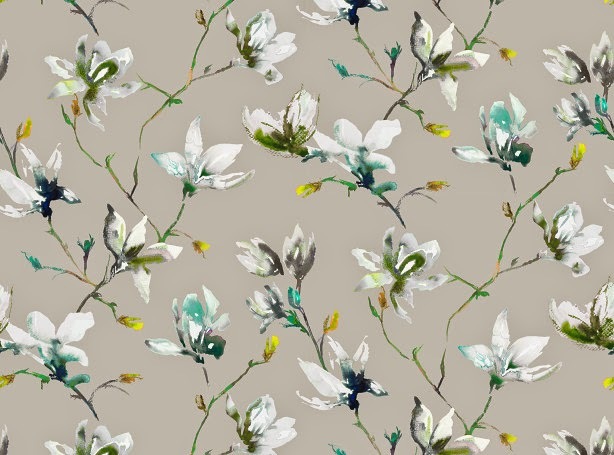 We particularly like this Romo fabric of budding magnolia with its warm undertone and almost watercoloured pastel effect. With a martindale rub test of 20,000, this fabric is suitable for cushions, curtains and upholstery. 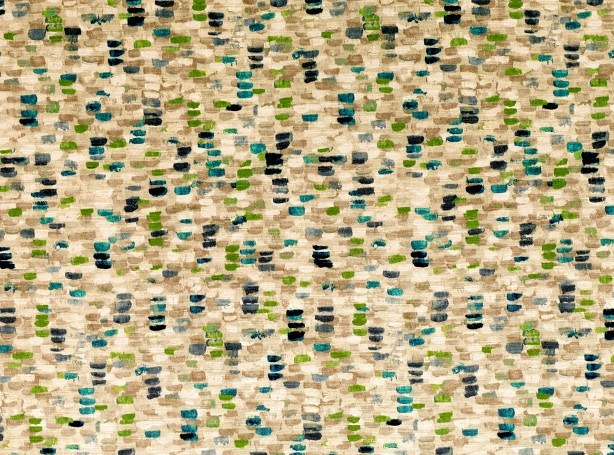 in earthy tones reminiscent of a mosaic tile effect. While this fabric is suitable for curtains, we think that used flat as cushions or in upholstery would give it greater appeal. Swaffer have brought out a romantic collection called Austen, evocative of the country house and inspired by Jane Austen. 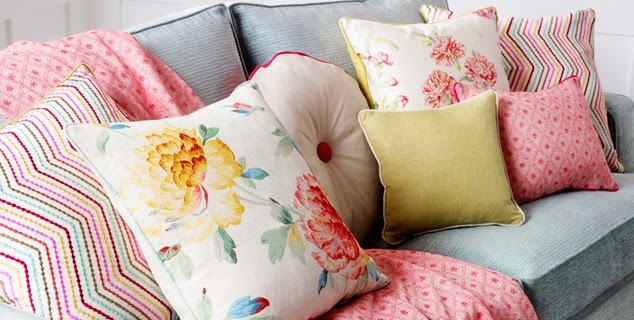 More chintzy in its design, the range is a glorious mix of florals, plains and small patterns - making it easy to co-ordinate. 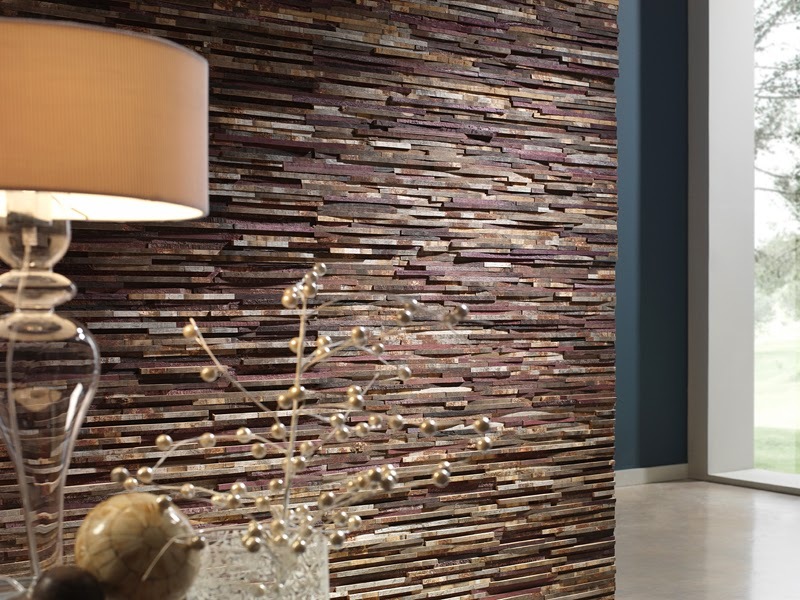 DesignerWalls have some fantastic wall panel systems which are suitable for both domestic and contract use. While they offer a range of brick and wood effects, shown here is one made from slices of wine barrels. gives it very eco-friendly credentials. As feature walls go, we think that this effect is a fantastic alternative to the "feature wallpaper" that seems to be prevalent. 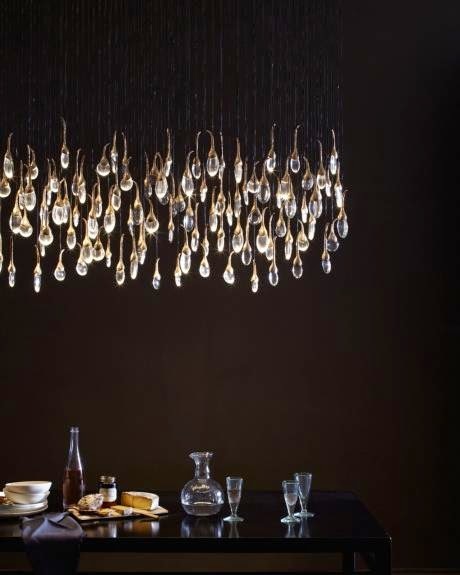 We have always loved the lighting, particularly the chandeliers supplied by Ochre. Seed Cloud is a great range available in either polished bronze or satin nickel finish. Shown here is the 112 LED light in polished bronze and is 150cm diameter. Ochre also offer a variety of floor lamps, furniture and accessories. 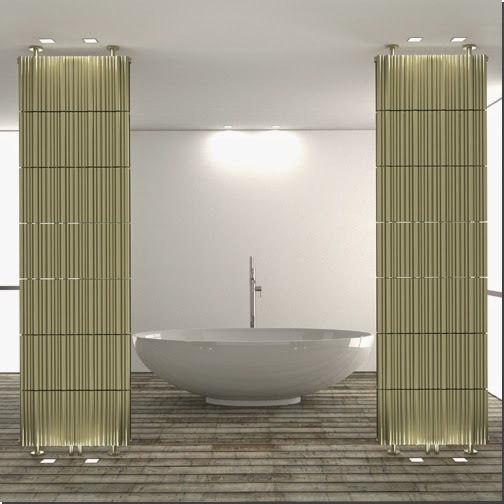 This Bamboo Evolution radiator by K8 Radiatori is an outstanding example of Italian design. Elegant with curved tubes, it is indeed a natural and appealing design which is floor to ceiling fitted and perfect as a room divider as well as a great source of heat. The sister range, Bamboo, is similar in design but wall mounted. It is easy to see how the designers featured here were inspired by nature to create such beautiful and contemporary products.